“Behold the Lamb of God, behold Him who takes away the sins of the world.”(John 1: 29). These are among the very first words in St. John’s Gospel when he narrates the story of the Baptism of Jesus in the Jordan River. These words of John the Baptist arse prophetic as they foretell the mission and death of Jesus Who would take away the sins of the world onto Himself by the shedding of His blood upon the cross. 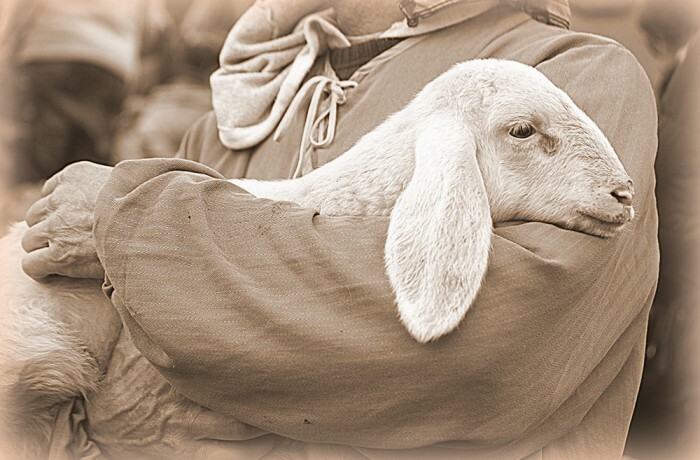 The lamb, offered to God in the Temple as a sacrifice in the Old Testament and in the New Testament, was the sacrifice the Jews made before Jesus came; it too lost its blood in atonement for the sins of the people. The lamb is small, the firstborn from its parents, and it is snowy white (symbolic of purity), gentle, helpless and innocent. Because of its purity, it was an acceptable sacrifice for the elimination of the effects of sin. When Abraham went to sacrifice his son, the angel of the Lord stopped him and God provided him with a lamb as sacrifice in lieu of his son Isaac (Gen 21: 9-21). In Jesus, the opposite happened. God sent His Son Jesus to be the sacrificial lamb in the place of the little lambs.